What is PCI Express (PCIe)? PCI Express stands for Peripheral Component Interconnect Express. It represents a type of connection that has become a standard used in virtually all internal components of a computer. It was developed as the successor of the original PCI and the main advantage it has over the previous versions is that it no longer relies on a serial bus. Instead, it uses a point-to-point access bus. You will hear about PCI Express when referring to those compatible expansion slots on the motherboard. It’s also referring to the actual types of expansion cards. Don’t worry if it’s a little confusing at first. We’ll try to understand how did PCI Express became such an important internal interface considering the fact that a huge part of computer motherboards manufactured nowadays are built exclusively using PCI Express slots. 1. What does PCI Express Do? The interface plays a key role in the interaction between devices and the motherboard. It enables high-bandwidth communication between them or any other hardware. PCI Express devices slide into the corresponding slot on the motherboard. Although it’s a primarily internal interface, there’s also an external PCI Express version. The devices that use this interface are external so special cables are mandatory for making the connections. There’s usually a dedicated External PCIe port for connecting compatible devices to the computer. There are many cards that use this high-performance interface. Video cards, in particular, have taken advantage of PCI Express features to keep up with the demand for more realistic graphics and more performant video editing tools. It’s safe to say that the video card is the most commonly found type of PCI Express card, but it’s not the only one. Other devices can also benefit from superior connections to the motherboard. Some notable examples are CPU and RAM which are more and more being created to support PCI Express instead of PCI. Sound cards and network interface cards can be found to rely on this fast interface though it’s mostly reserved for those high-end units. Some cards that truly benefited from the PCIe breakthrough were hard drive controller ones. A solid example is a high-speed SSD drive that can have improved writing and reading performance thanks to a PCI Express connection. There are certain hard drive controllers that use this interface and come with an integrated SSD, something that could be considered the next step in the way storage devices have taken part in a computer. As PCI Express enjoyed a significant boost in popularity due to its increased performance, pretty much any type of internal expansion card has been receiving upgrades for PCI express support over the old PCI. Worth mentioning are Bluetooth or USB expansion cards. 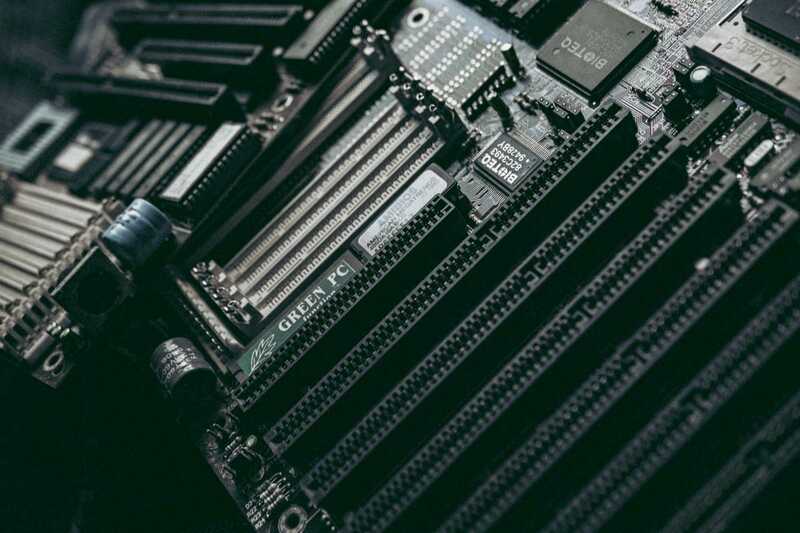 There are so many PCI Express formats that you can get quickly overwhelmed if you’re trying to figure out whether a specific connection can be made without incompatibilities. It’s not always clear when you look for a new video card how to make the optimal choice in terms of PCI Express technologies. One essential aspect regarding PCI Express to understand how this interface works is to make the distinction between the part that refers to the physical size and the one expressing the technology version. Let’s look at the various PCI Express sizes and what each tries to define. The number after the ‘x’ shows you how big is that card or slot. The larger PCI Express size also has a bigger number of pins and vice versa as shown down below. A key element to understand here is that you will always have a little space in the PCI Express card or slot at the length of Pin 11. This means there’s a certain level of flexibility when it comes to using cards of a different size than the one accepted by the slot. The simple rule to remember is that a PCI Express card can fit in any slot as long as it’s equal in size or larger. Basically, a PCIe x1 card should fit in larger slots like PCI Express x4, x8, or x16. The problem appears when trying to add, for example, a large PCIe x8 card in PCIe x1 or x4 slots. It doesn’t work that way. It’s only compatible with PCIe x8 or x16 slots. This is just a rule of thumb. There can be exceptions when some cards fit in open-ended slots. This refers to those PCI Express slots which lack a stopper at the end. Performance-wise, bigger PCIe cards or slots are better so if you’re trying to make comparisons, you need to keep that in mind. Of course, that’s only assuming that you’re comparing cards or slots that work with the same version of PCI Express. If you look closely, you’ll notice that there’s a number coming after the PCIe label on any product that supports it. That refers to the version number. There are differences between the versions, but the good news is that you won’t have compatibility issues between any versions. The latest PCIe version is 4.0 and it was introduced in 2017. Older versions are 1.0, 2.0, and 3.0. The key difference between them lies in link performance. Newer versions benefit from better transfer rates and superior throughput. You can check the actual numbers on this link. Going for the latest update of PCI Express is definitely recommended if you wish to maximize the potential of your connected hardware. Besides raw performance, newer versions also come with extra features, bug fixes, and more efficient power management. This section is created for those who intend to achieve the best PCI Express compatibility. It goes beyond the idea that if it physically fits it works and that’s good enough. It’s interesting to see what can be done to make sure you truly benefit from the potential of a more performant PCI Express interface. To give you a simple example to understand, let’s take a PCIe 3.0 x16 video card. To get the most out of it, your motherboard should keep up in terms of performance. It needs a free PCIe x16 slot, but that’s not enough. It will also require PCI Express 3.0 support for the best compatibility. With a lower version, you can expect decreased bandwidth performance, so try to avoid that. If you’re unsure about the current version supported by your motherboard, you can always check the documentation on the manufacturer’s website. It’s worth mentioning that, at least in the PCI 3.0 x16 video card example, there’s no need to worry about compatibility too much if your motherboard is fairly recent. After 2013, almost all motherboards should provide support for the PCI Express 3.0 version. What’s in store for PCI Express in the future? It seems that the interface has gained huge popularity in recent times and constant development focuses on improving the technology. The next PCI Express version – PCIe 5.0 – is expected to arrive in 2019 with twice the bandwidth performance compared to PCI Express 4.0 which is currently the fastest. Although the technology industry explores alternative interfaces, the main problem it faces is the need to make some major hardware changes. This doesn’t mean that PCI Express is here to stay forever. It’s just that by the looks of it, this is the best interface available and the only one that’s actively receiving solid updates. The performance requirements will be constantly increasing as the demand for a faster interface grows, particularly when it comes to video games development. Did you find our article useful? Then you might also want to read our articles about the Free Driver Updater Tools and How to Burn an ISO file to a USB. If not, please don’t forget to share our article using the social media buttons at the top.